One of the main reason Android is the most used mobile OS is that it is open source and thus highly customizable. Android gives its developers full access to its code so that they can customize it according to the user’s needs. The Android phone that you are using right now, isn’t stock Android (or pure Android). The skin/theme and some features have been already customized for you by the phone manufacturer. (Yes, there are phones out there that come with Stock Android.) Well, the customizability doesn’t end there. You as a user can also customize the OS and add more features to your phone. And yes, customize Android without root. Many users think that the phone should be rooted (or jailbreak) to further customize it Well, that’s not the case as of now. There are many different ways available now to customize Android without root. Maybe you want some features of the latest Android version or some cool skin you saw on your friend’s phone. There’s a high possibility, you can get it on your Android without rooting it. 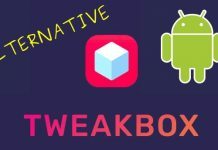 Here, I’m going to share some of the different ways you can try to customize Android without root and also some cool customizations that don’t require rooting. The best and easiest way to customize the skin/theme of your phone is to install a new Android Launcher App. There are tons of Launchers applications available on Play Store that you can download and replace it with your old and boring stock launcher. The stock firmware does provide options to customize the lock screen. But, what if you want to completely revamp the lock screen? 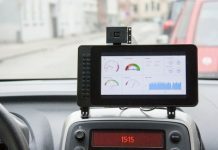 There are many apps available that can help you do so. Here’s a list of the popular lock screen apps. Hi Locker: This is a Cyanogenmod style Locker that helps you to open your favorite apps quickly right from the lock screen by swiping from right to left. You can check your upcoming events and it also has a separate screen that shows calendar. Next News Lock Screen: If you’re an avid news reader than this app is the one you’ll love. This shows a customizable news feed on your lock screen. You can choose from different categories of news and topics and customize the feeds based on your likes. AcDisplay: Minimalistic design is something that every eye loves to watch. This app delivers the subtleness that you were looking for. 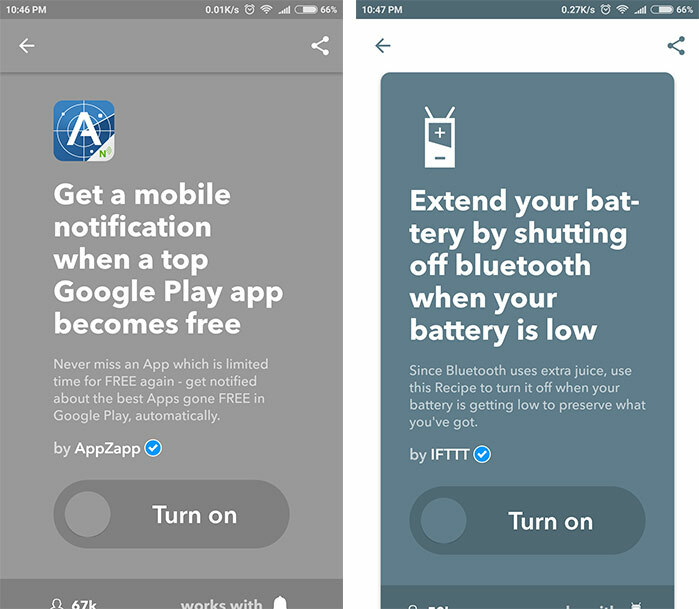 Small app icons show up for each notification and a long press on the icons will show up the message of the description of the notification. Loklok: LokLok is not your normal lock screen app. It has a unique and creative idea behind it. It lets you draw on your lock screen and share the same screen with your friends. Your friends after receiving your drawing can reply back with their own drawing. This is unique and quite fun. And yes, your friends need to have the app. Bloatware is the inbuilt OEM apps that you might be not using at all. These apps cannot be deleted like any other installed app. They can only be disabled. But they still stay on your phone taking up storage space. This bloatware can be removed completely from your phone without having root access. The task is quite tedious but it works. You will require a PC/Laptop and Android ADB installed on it. You can look at this link on how to install it. After installing ADB, go into the ADB folder and open the command prompt in the folder. Press shift and right-click. You should get ‘Open command prompt here’ option in the menu. Now, connect your phone via USB cable with USB Debugging turned on. Run the following commands in cmd. You will get a list of package names. These are the package names of all the apps that are installed on your phone including the inbuilt apps. To identify the app by package name you can use the App Inspector App. Copy the package name and paste it in the below command. The package will be uninstalled and so will the bloated app. Some OEMs choose to have hardware touch navigation bar instead of the usual soft navigation bar. Well, no worries, if it hinders your user experience you can actually get the soft navigation bar. You just have to install an app called Simple Control. The App creates a navigation bar which you can access from all the sides of your phone. Traditionally, it’s available at the bottom, but, with this app, you can decide on which side you want it to be. There will be a few permissions that you’ll need to allow and the navigation bar will start to work. You can customize and change how it looks and also alter the position of the buttons. YouTube is the ultimate destination not only for videos but for music too. While using YouTube on Android, you must have noticed that when you turn off your screen, YouTube stops playing. Well, we’re going to change that. Maybe you’re listening to music or just listening to a talk, watching the video is not always a concern. With this mod, you can listen to YouTube with the screen turned off. 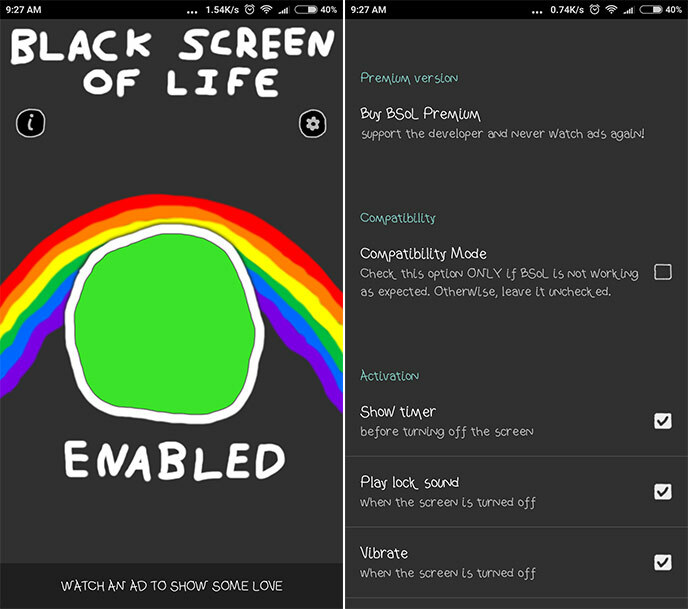 To make it work on your phone, you just need to download the app called Black Screen Of Life. This app makes use of proximity sensor to turn off screen. If the proximity sensor is blocked it will turn off screen. The proximity sensor on your phone will be present in alignment to your front camera. Download and install the app and enable it. Now, open YouTube, play a video and block the proximity sensor or just place your phone on a flat surface with the screen facing the surface. The screen should turn off and the video will keep playing. This will mod will also help save battery as the screen will be turned off. In case the feature doesn’t work, you can turn on the compatibility mode in the settings. 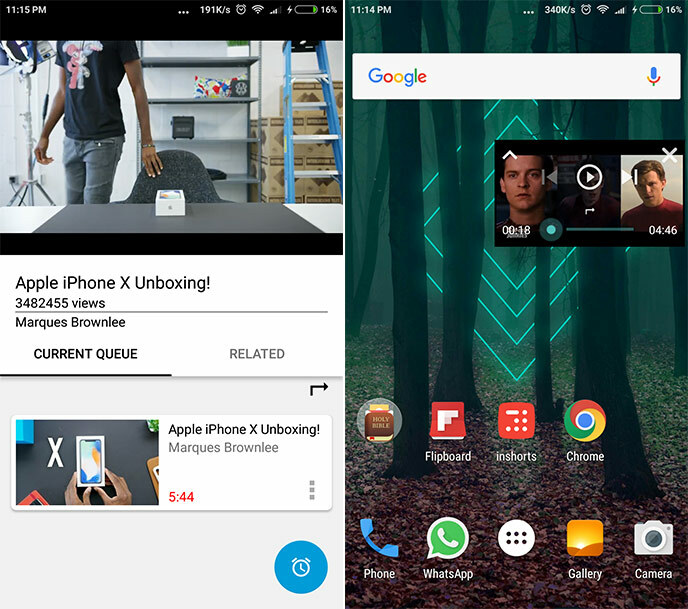 The Picture in Picture Mode(PIP) allows you to watch a video while using other apps. The window of the video overlaps other apps so that you can see the video and simultaneously use the app. Here, in our case, we will enable PIP mode for YouTube. To do so, you just have to download the app called Floating Tube Video Player. The app requires permission to ‘draw over other apps’. You can use the app same as the YouTube app. Just hit the back button while playing a video and the PIP mode will be enabled. You can close the app and the window will be still there. You can create a queue of videos to play and the videos will keep playing. If you want to play your local videos in PIP mode then you can download Lua Player. This customization is only for those phones that have software enabled on-screen navigation bar. This won’t work on phones with hardware navigation. 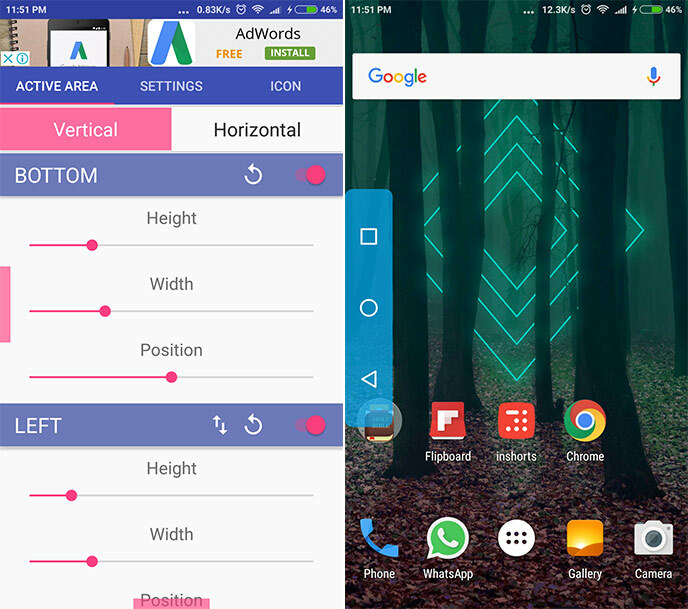 So, if you have an on-screen navigation bar then you can do a lot to customize it. There are a few apps available through which you can customize the navigation. 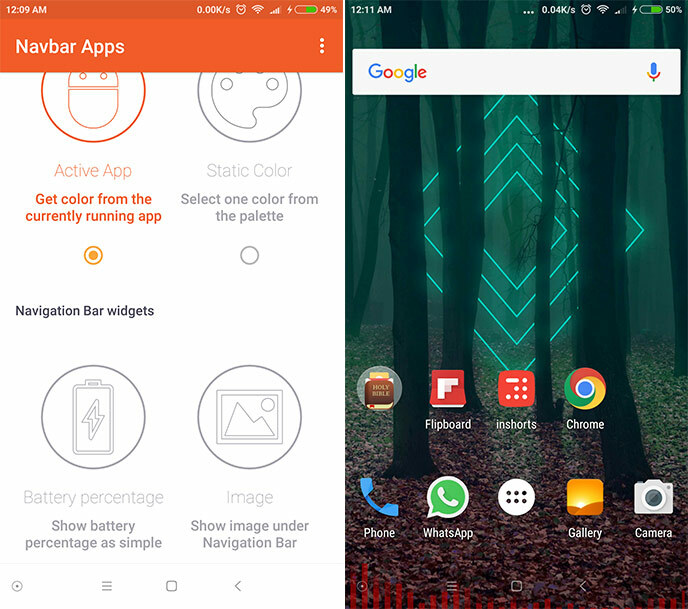 You can use Navbar apps which allows you place custom backgrounds which include static/dynamic colors, battery percentage, emojis and even custom images. It also has a music widget which plays music bar when music is detected. If you are looking for a dedicated app that shows music visualizer in the navigation bar then Muviz app is the one for you. Automation goes along with customization. There are apps out there like Tasker and Automate that can automate certain repetitive tasks on your phone. But for some folks, these apps can be quite complicated and yes they do require root for certain tasks. So, if you fall into this category then you can use IFTTT. It’s a simple and easy to use service that can not only automate tasks on your phone but other online services too. It is based on the concept of “If This Then That” (IFTTT). If something happens on one service/app then based on it another action will occur. For example, if you want your phone to automatically turn on WiFi as soon as you enter your home then you can just enable its recipe on IFTTT. There are many recipes/applets available to choose from and you can even create your own. 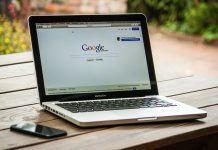 You gain full potential of the app by integrating online services like Google Drive, Facebook and Twitter and many other. The plus point that Android has over any other Mobile OS out there is that it is highly customizable. Sometimes, simple and sober is not the answer. Having something unique always feels great. With the above customizations, you can easily revamp the look of your firmware and all that without root. If you know any other cool way to customize Android without root then do comment them down. This is a great guide. I was looking to customize my android phone but didn’t want to go for rooting. You article was really helpful for me. Thanks.